International operations remain a strategic part of our business, providing a stable and committed source of light crude oil production. 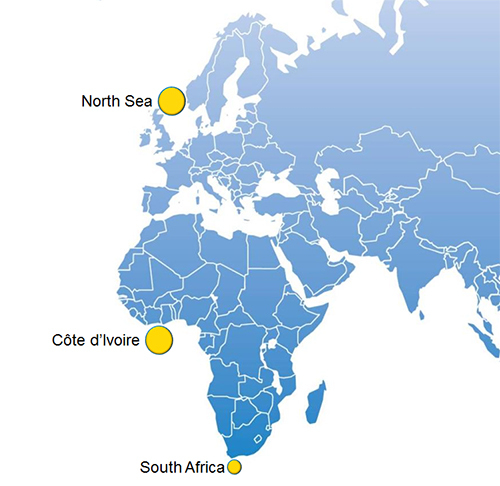 We concentrate our efforts in two core areas, the United Kingdom portion of the North Sea and in Offshore Africa. We are able to apply our expertise in mature, low-risk, exploitation basins in North America to both our North Sea and our Offshore Africa assets. As part of our fundamental strategy, we maintain high working interest in all of our International assets. In the North Sea, attention is focused on existing infrastructure and prudent liability management in a low-risk mature basin, with a goal of field life extension in Offshore Africa, the Company enjoys excellent relationships with the government of Côté d’Ivoire, providing the Company some of the highest returning projects in its portfolio. The Offshore Africa assets continue to generate significant funds flow from operations and provide considerable light crude oil growth opportunities.